A façade is more than just a functional protective shield. It’s the face of the house and shows the style of the people live in. For Baumit it is an opportunity to provide each building with its own unique character through the choice of material, structure, form and color. Distinctive. Unmistakable. Exceptional. 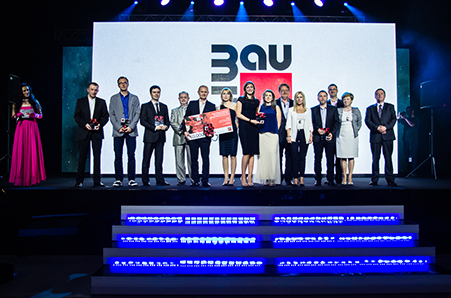 To promote this vision, Baumit started in the Czech Republic in the year 2000 with a competition called “Fasada roku” - Façade of the year and many countries followed like Slovakia, Hungary, Poland, Romania, Bulgaria or Ukraine. 2012 Baumit brought “Life” to life – the biggest colour system for facades in Europe. 888 different colours offer an almost boundless freedom for designers to create something truly special. With this Baumit went a step further and created the Baumit Life Challenge - The European Façade of the Year. 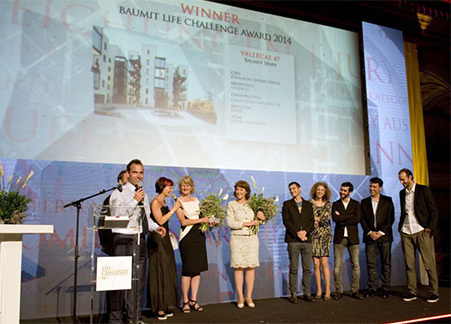 Baumit Life Challenge was meant to be a competition for the best of the best on the façade. 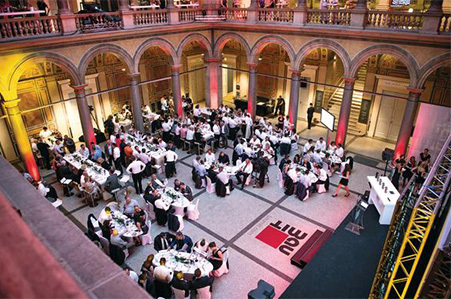 At a brilliant first event at Vienna in June 2014, Spain surprised all and won 3 of 6 prizes including the Life Challenge award for the best façade in all categories. Further prizes went to Greece, Romania and Slovakia. So to honour the Spanish success Baumit decided to hold the next Life Challenge Event in Madrid. The award giving will be on June 2nd in the Galería Cristal at the Palacio de Cibeles. Surrounded by its façade, the inner courtyard of the town hall provides an appropriate setting for the Life Challenge 2016. The event is expected to attract 400 guests from more than 21 countries. The best architects, investors and Baumit partners. About 300 projects will be judged in 6 categories by a high caliber panel of independent experts, with the awards presented at this gala event. The winners of each category will be the proud recipients of € 6,666 in prize money. The 6 best façades in each category will be personally evaluated again by this expert-jury in Madrid on 2nd June 2016, and the winners will be fêted on the same day. Of course we will inform you about the results! The facades will be rated by an expert-jury of 12 well-known architects throughout Europe. But your opinion is most important to us! So please have a look at the objects and rate them. You can allocate between OK – LIKE and SUPER. Next to the picture gallery, you will find facts and a brief description of the object and the used Baumit products. Baumit offers you 2 ways of voting. You vote anonymous, nobody will know what kind of votes you gave but then you will miss the chance to win. Give us your name, address and profession and you will have the chance to win. The winner of the public voting will be invited to take part at our Life Challenge Award with Gala Dinner in the Galería Cristal at the Palacio de Cibeles on June 2nd in Madrid! Flight to Madrid and 2 nights at a great 4-star hotel in Madrid for 2 persons included. The public voting will end on 4th of May 2016, at 12 o'clock noon.